. . . . especially taking into account all the non-weaving responsibilities and Other Stuff I’ve needed to apply myself to of late. So here are some pictures, should you need proof. That’s the final Coyote Series scarf — I believe I already showed you the three others in previous posts. 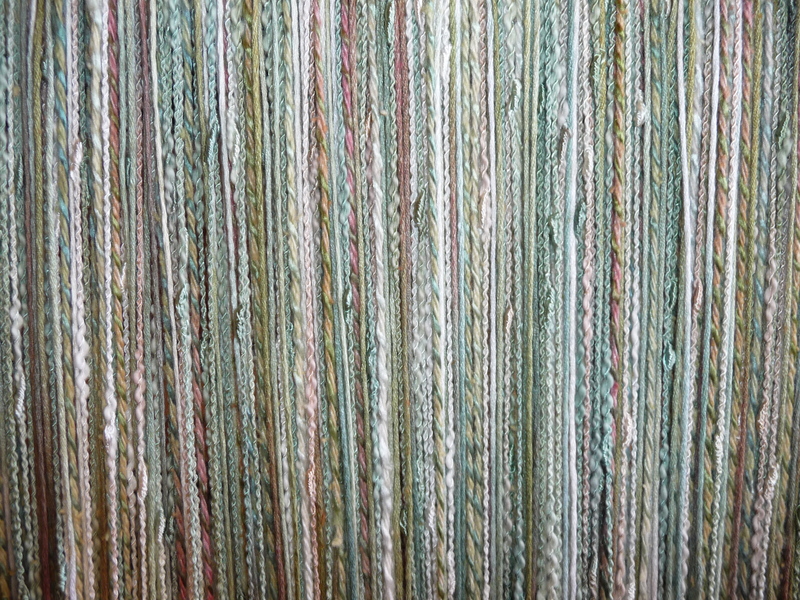 Then here are some of the shots I took of the double width-double weave designer throw project. 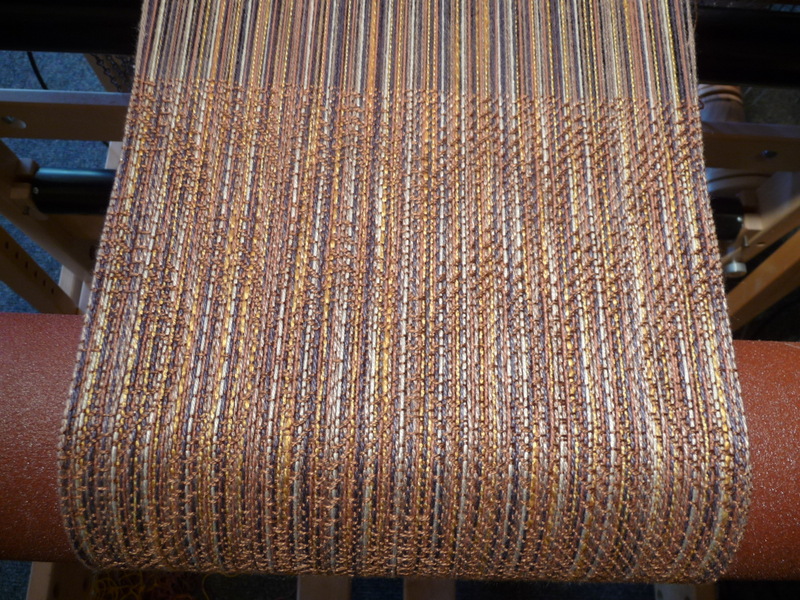 It’s now finished and off the loom; I’m still slowly tying all the fringe knots, a mindless, boring and lengthy task. 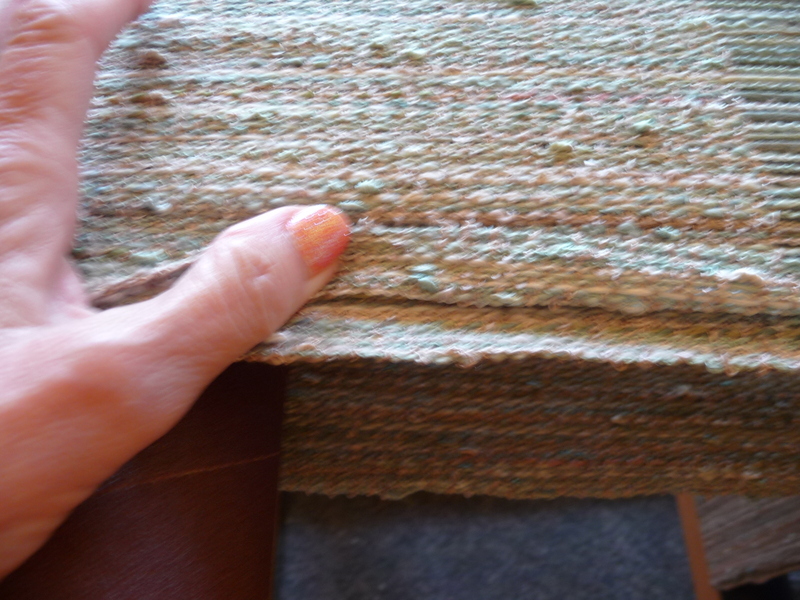 In order, that’s the warp under tension on the back of the loom, a close-up showing that there really are two layers (and the other side is closed, as planned), and a near shot of the finished fabric. It’s interesting, subtle and exactly what I wanted. Life is good. Finally, the first two of a new series of scarves, called Carnival. 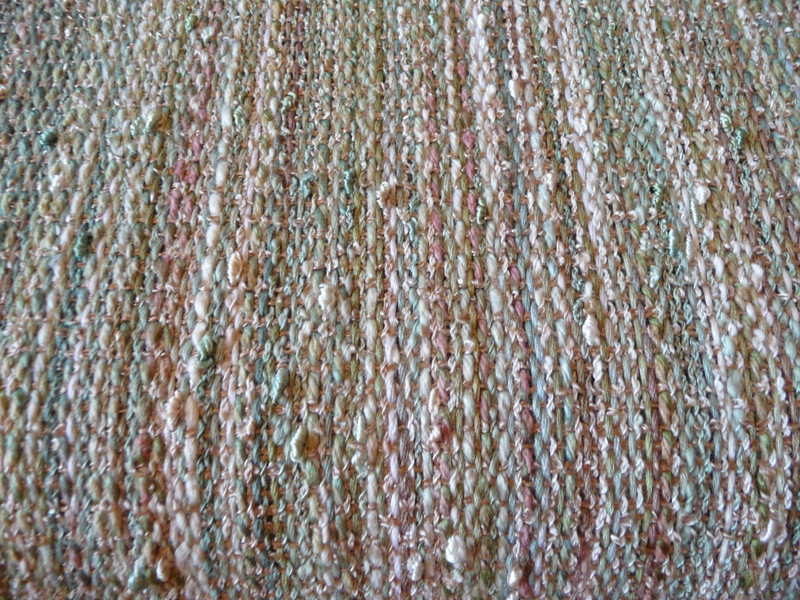 Hand-dyed pearl cotton warp, tencel wefts, nifty patterning. 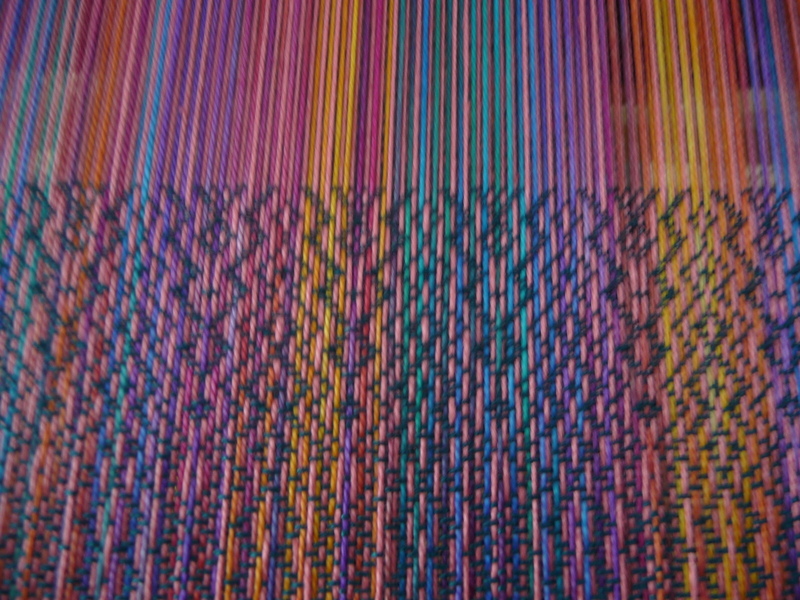 Both of those are finished and will be cut off the loom as soon as I eat my lunch. 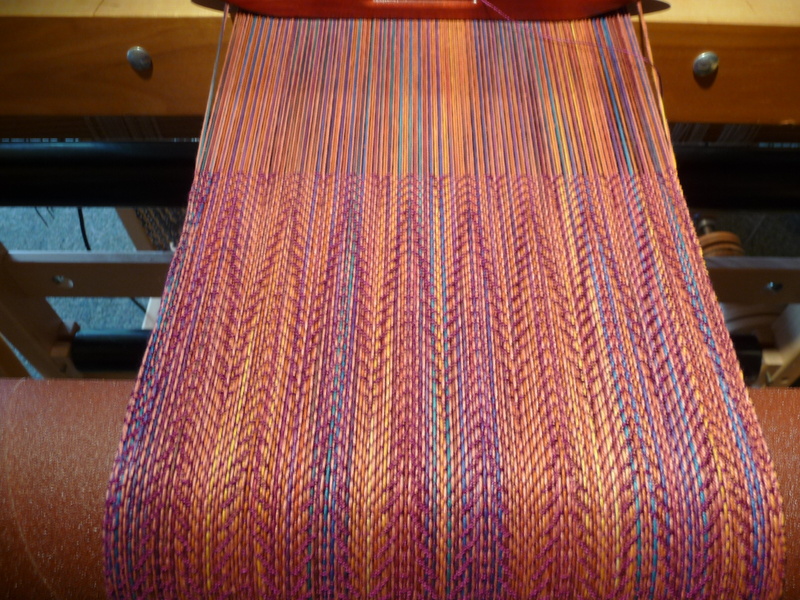 Then some tweaks to the loom, and lash the warp back on so I can weave the other three of the series. Onward . . . .